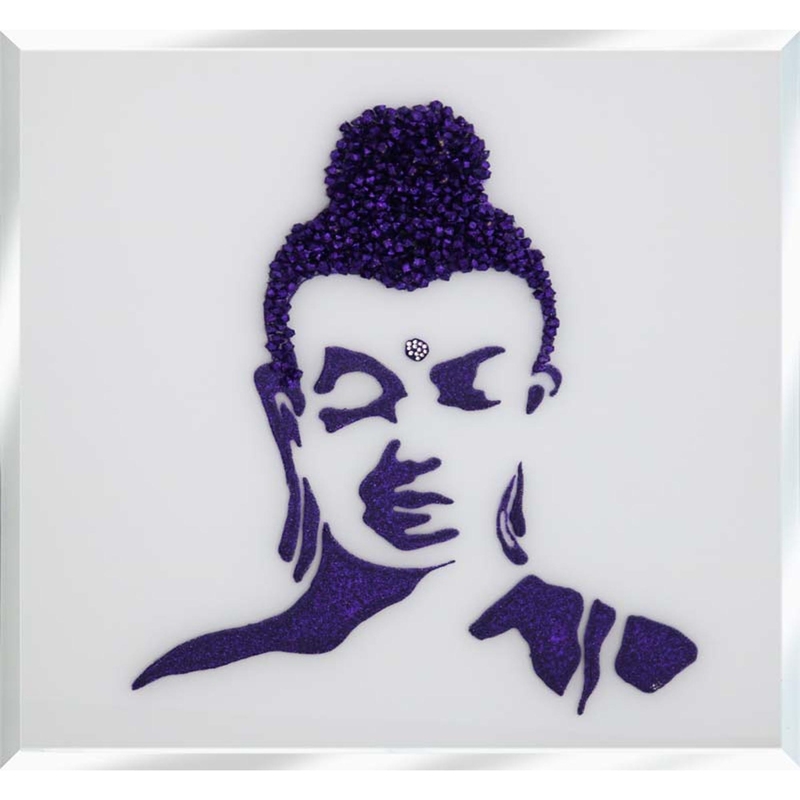 This stunning Purple Glitter Buddha on White is a added luxury to any home. Hand finished in the UK, coming in set sizes and custom so you don't have to worry about it not fitting where planned. With this piece having cluster crystals in Buddha design, encased in glitter liquid glass, it's not only cultural art work but a chic and glamorous piece welcome to any interior or decor.